Andrew Carnegie, is considered by many to be one of the men who built America, not only figuratively but in one way quite literally. He was born in Dunfermline, Scotland, November 25th, 1835. He fit the iconic image of the ‘American Dream’ quite well. Having come from a very humble background only to beat the odds and rise to the heights of fortune and success. Carnegie made a name for himself as an elite businessman, tycoon and philanthropist. Becoming a telegram messenger was a big step for Carnegie. He decided however, that he would go beyond the norm. Whereas everyone else had to write down the meanings of the sounds that they were expected to interpret, Carnegie memorized them. Because of his proficiency, it wasn’t long before he found himself promoted to the position of an operator. The position of operator launched his career path as it would later enable him to fulfill an important role as the personal assistant to Thomas Scott, the superintendent of the western Pennsylvania Railroad division. In business, it is important to differentiate oneself from the crowd, everyone can do the minimum. Consider what it would take you to be different, to stand out. As the assistant to the influential and powerful Thomas Scott, Carnegie was given ample opportunity to invest. Opportunity which had he forgone, he may never have had the capital vital to his success. Carnegie was advised to strategize the types businesses that he would build so as to create a business empire that could provide itself with more business (such as copper manufacturing and bridge building). Between his solely monetary investments and his entrepreneurial fervor, this all involved considerable risk. 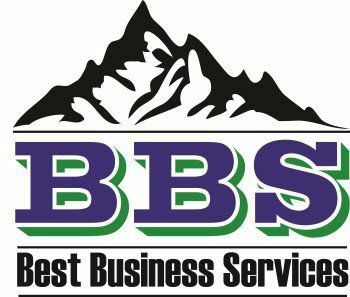 In business there is a phrase coined, ‘risk and return.’ A simplified explanation of the concept is that the amount of return or financial compensation one may expect will be tantamount to the amount of risk that is taken on. From the time Andrew Carnegie was a young man he was always hungry to learn. As a youth, he spent the better part of his weekends in Colonel James Anderson’s personal library of over 400 volumes, which he opened up to working boys on Saturday nights. Carnegie felt that access to information was vital and that education was surpassed by nothing in importance to an individual’s success. He firmly believed that everyone had the right to learn. Carnegie was so convinced of this that he donated vast amounts of his amassed wealth to fund the construction of thousands of libraries around the world, many of which still operate today. Andrew Carnegie’s strong desire for learning is something that anyone in business can benefit from emulating. In many ways, it was this desire to learn that kept Carnegie continually innovating and looking for better ways of running his business. 4. Don’t hold so tightly to that which has been given, give back. The idolization of money was something he abhorred. According to the speech he gave at the commencement of the Carnegie Library in Pittsburgh, the mind was what made the body rich and thereby men shouldn’t hold on to riches so tightly as if nothing else was worthwhile. 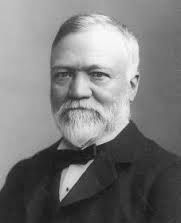 Carnegie gave over 350 million dollars to various philanthropic causes, such as the example mentioned above, the funds he donated for the building of libraries; also, he donated the money necessary to establish what is now known as Carnegie-Melon University. He was known to have said "The man who dies thus rich, dies disgraced." As a principle, it is important for a successful business magnate to give back in recognition of all that has been received. Throughout Andrew Carnegie’s career, he had the opportunity to work with numerous individuals, connections with whom would prove to be a strong assets later. Once such example is his friendship with Thomas Scott, for whom he was personal assistant; as well as with J. Edgar Thompson, the president of the Pennsylvania Rail Road. His cultivation of these relationships paved the way for numerous and mutually beneficial business transactions between the Pennsylvania Rail Road Company and Carnegie’s Keystone Bridge Company. Networking is a powerful and vital business practice. Having and maintaining connections with the right people is always a good idea for business. It’s not about what you know, but who you know.